Correct Wheel Sizes, PCD, Offset, Rims and Tire specs for Land Rover Discovery Sport series. I'm buying a 2018 Land Rover Discovery Sport HSE. I'm in Canada and I was offered CA$3200 for 18" alloy rim plus winter tire. I'm still waiting to know if this includes the tire pressure sensors and if I can chose the color. I would like to know if there are other brands I can use that won't affect negatively the performance of the car. 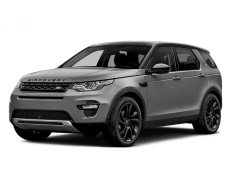 Can I use wheels from a 2018 Land Rover Discovery on a 1999 Range Rover 4.6 HSE?